Daniel Yergin and Peak Oil: Prophet or Mere Historian? On 17 September, the Wall Street Journal published a fascinating article on “peak oil,” “There Will Be Oil“, written by Daniel Yergin, chairman of IHS Cambridge Energy Research Associates, an energy research and consulting firm and deserved recipient of a Pulitzer Prize for his 1991 book, The Prize: The Epic Quest for Oil, Money and Power. Yergin notes, “Just in the years 2007 to 2009, for every barrel of oil produced in the world, 1.6 barrels of new reserves were added.” But this fails to take into account the following points. First is that for oil producing nations, reserves are like money in the bank, and inflated reserve figures are common. Even with the newest technology, oil reserve figures remain at best “guesstimates” and should not be taken as hard and fast figures. Secondly, while the Middle East for the foreseeable future will remain the world’s top producing area, it is unhappily also one of the most politically unstable regions of the world. The “Arab Spring’s” impact is still playing out, much less the potential impact of Palestine’s incipient bid at the United Nation’s for recognition, both of which could yet still throw a major spanner in the works. Saudi Arabia, the world’s first or second-largest producer, vying with the Russian Federation for top position, is not immune from either of the two aforementioned effects. Saudi Arabia does not allow foreign oil companies concessions and has adopted a strict conservation policy, so don’t expect to see a massive rise in production there anytime soon. As for Palestine’s impact, last week former head of Saudi Arabian intelligence and ex-ambassador to Washington, Prince Turki al-Faisal, in an essay in the New York Times warned that an American veto of Palestinian U.N. membership would end the “special relationship” between the two countries, and make the US “toxic” in the Arab world. As for Iraq, eight years after the U.S.-led invasion, holder of massive amounts of untapped reserves, the country remains mired in a low-grade civil war and unresolved political issues between its oil-rich northern Kurdish region and Baghdad. Further east, Iran is most unlikely to boost production significantly anytime soon because of U.S. sanctions imposed in 1979. Libya remains the wild card, with only 25 percent of the country’s oil potential explored, but it has been wracked by six months of civil unrest, and the irredentist cadre of Gaddafi supporters could easily target the country’s oil infrastructure in the future. In the Western Hemisphere, OPEC recently announced that Venezuela’s potential reserves could top those of Saudi Arabia, but the deteriorating relations between Caracas and Washington make an increase here unlikely anytime soon. Many optimists pin their hopes on increased offshore production, from Brazil through Western Africa, the Mediterranean and the Caspian to the South China Sea, but these regions’ output will suffer from the twin curses of both greatly increased “lifting costs”, in the billions, as well as political instability. West Africa is synonymous with corruption and civil war; Lebanon, the Republic of Cyprus, Israel, and Turkey are sparring over eastern Mediterranean hydrocarbons; two decades after the collapse of the USSR, Azerbaijan, Iran, Kazakhstan, the Russian Federation, and Turkmenistan have yet to reach a definitive agreement on the division of the Caspian’s offshore waters, and tension is rising markedly in the South China Sea, where China, the Philippines, Taiwan, Vietnam, Malaysia, and Brunei are all pursuing contesting claims. Of the aforementioned areas, only Brazil has uncontested national sovereignty claims over its offshore deposits, and the government is sufficiently concerned about their security that it is considering building a nuclear submarine to patrol its offshore oil platforms. As for the rest, it is difficult to see how the nations involved will be able to attract large-scale investment into potential conflict zones. Furthermore, quite aside from political wrangles, offshore drilling is both extremely expensive and comes with increased environmental risks. Given that the majority of the future’s oil production increase will come from offshore developments, the term should have been given greater prominence. BP’s Deepwater Horizon Macondo oil spill in the Gulf of Mexico began on 20 April and spewed crude for three months in 2010, and was the largest accidental marine oil spill in the history of the petroleum industry, dwarfing the 1979 Gulf of Mexico Ixtoc I oil spill. Since the Deepwater Horizon incident unleashed 4.9 million barrels of oil, the Gulf of Mexico suffered another rig explosion and fire at the Vermilion Block 380 A Platform on 2 September 2010. 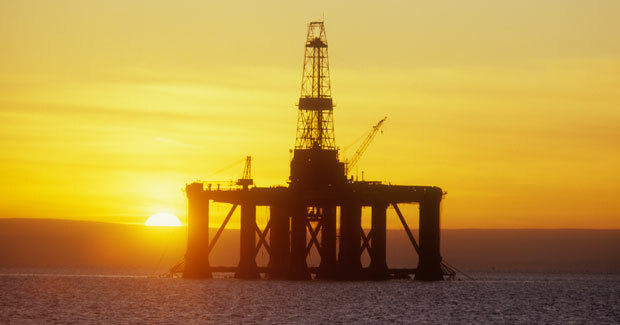 Across the Atlantic, on 12 August a British subsidiary of Royal Dutch Shell announced a leak at a platform flow line in its Gannet field concession in the North Sea. As for the BP leak, on 12 May 2010, California Democrat Representative Henry Waxman said that the House Oversight and Investigations subcommittee investigation into the Gulf oil spill revealed that the Deepwater Horizon Macaondo oil platform’s blowout preventer (BOP) did not pass a crucial pressure test just hours before the explosion. Tracking back the signs of incipient failure, on 28 February 2009, the Department of the Interior exempted BP’s Deepwater Horizon drilling operation from a detailed environmental impact study after concluding that a massive oil spill was unlikely. Four months later, on 22 June 2009, BP engineers warned that the Deepwater Horizon BOP’s metal casing might collapse under high pressure. Seeking to spread the blame, in April 2011, BP sued Cameron International Corp., the maker of the failed Type TL 18¾ in. 15K double blowout preventer on the Macondo well, Deepwater Horizon drilling rig operator Transocean and Halliburton, the well’s cement contractor, saying they were largely to blame for the accident. There are 3,800 active oil platforms in the Gulf of Mexico. How long until another major spill? So, where does all this leave the world? Older producing fields and nations, such as Indonesia and Saudi Arabia’s massive Ghawar superfield, have seen their production decline. Indonesia, which had begun producing oil in the early 20th century, saw its production slide so much that it left OPEC in 2008, seemingly confirming Marion King Hubbert’s “peak oil” theory. While it is true that Hubbert’s predictions, made in the 1950s, took no account of future energy developments such as Africa, the Caspian, and offshore, all of these regions and projects come with increased costs, which ultimately will undoubtedly be passed on to the consumers. Is the world then running out of oil? No, but the increase in future global oil production will likely be modestly incremental and production could be thrown off course by any number of possible events, from an Israeli attack on Iran to another (but successful this time) al Qaida attack on Saudi Arabia’s Abqaiq oil refinery. Many American motorists would disagree. This article was originally published at OilPrice.com. John C.K. Daly is a writer for OilPrice.com.